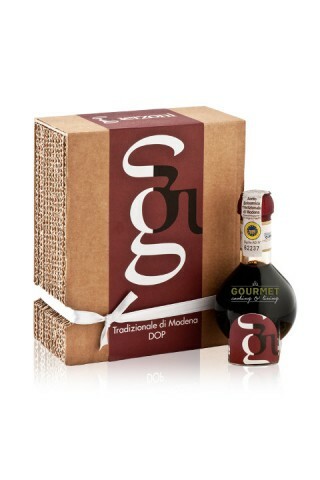 Traditional Balsamic Vinegar of Modena benefits from a unique period of aging of at least 12 years, which endows it with deeply developed flavors and aromas. Tested and certified by the Modena Chamber of Commerce, this balsamic vinegar can be considered truly unique, since from the very beginning the “Acetaia Guerzoni” has only ever used organic and biodynamic grapes. This product is best savored with meat, vegetables, cheese, fruit and ice cream. It is certified DOP, Organic and Demeter.